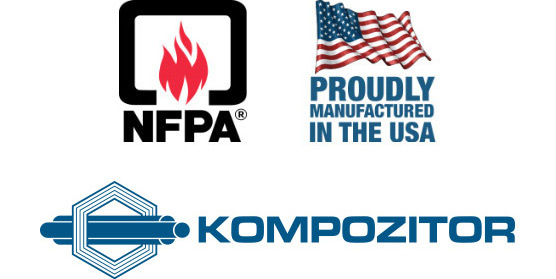 FuranFlex® is a revolutionary solution for heat and corrosion-resistant lining of gas and oil heated chimneys. Its flexibility and ease of installation simply cannot be beat. 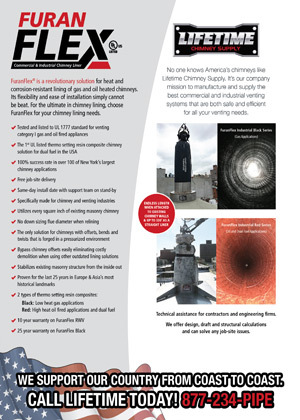 For the ultimate in chimney lining, choose FuranFlex for your chimney lining needs. Due to the special technology of FuranFlex, it can be used for straight and angled chimneys. 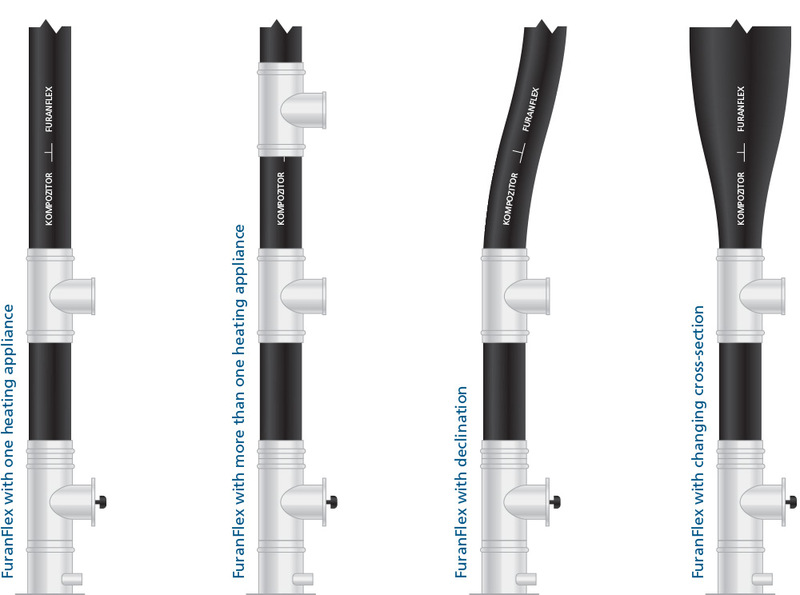 Flues serving more heating appliances or with changing cross-sections can also be lined by FuranFlex®. 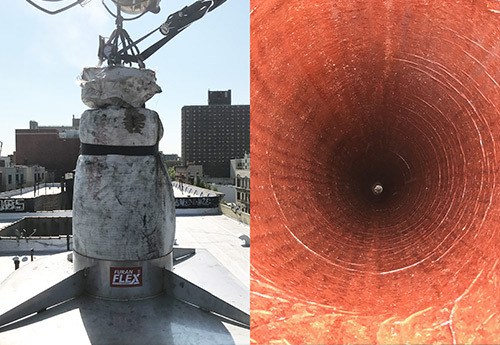 Depending on the existing chimney and venting requirements, various cross-sections are possible when using FuranFlex®. These cross-sections can be achieved by touching the existing chimney walls. 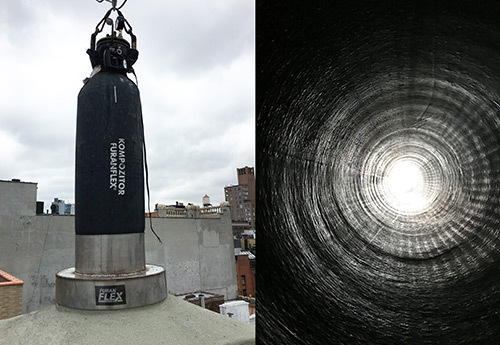 When existing chimney wall does not come in contact with FuranFlex®, only round cross-sections can be achieved.